Up to now, thanks to large diffusion of STM32, there are a loot of Tutorial on the web. For example if you go on YouTube and search STM32 you find a loot of video that show something regarding STM32. Again it’s possible to find tutorial for STM Analog components and so on. This link highlight the STM tutorials & products Presentations. See here all the video concerning the STM32 ODE (Open Development Environment). Below there are some interesting video tutorials. 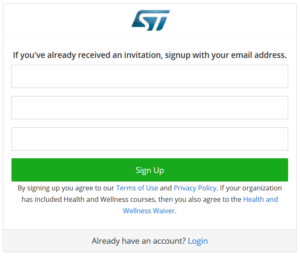 There is a new initiative from STM that share online a new set of training free of charge. For get access to this training go here and register. Up to now, November 2016, there are available the trainings below.